Engrave your own personal FedCon 28 glass! Whether by using one of the numerous templates available or simply creative without a template, you can engrave your very special souvenir yourself in the workshop Engraving Glasses. No matter how old you are, this workshop is suitable for everyone. Even insecure participants don’t have to be afraid, because they can expect professional help. 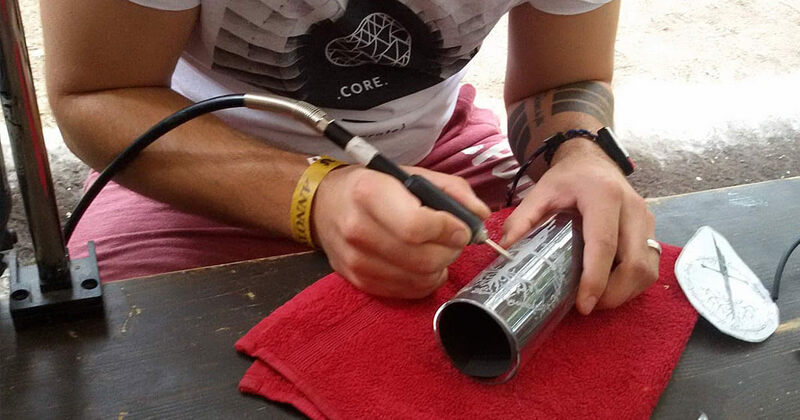 Up to 20 participants will be able to engrave a glass at the same time (between 10 – 45 minutes depending on the motif). If all Dremel (engraving tools) are occupied, you can get a number and come back later within the daily action time, so that you don’t have to wait permanently in a queue. 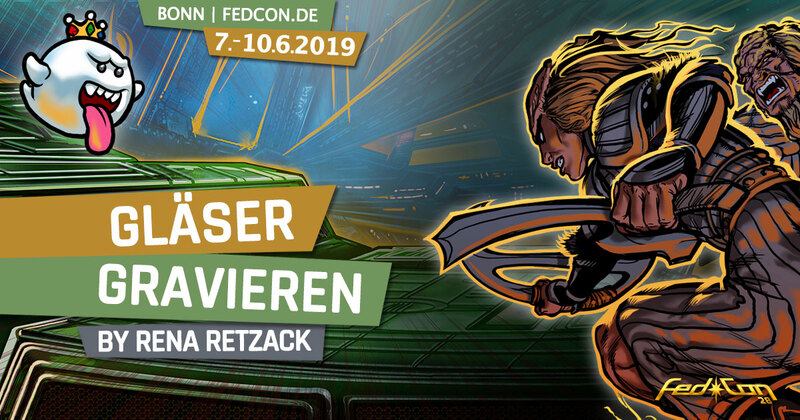 In the meantime you can visit further program points on FedCon 28. The workshop will be offered on all three days (with 2 hours daily total action time each). So many fans get the opportunity to engrave their own glass. To engrave a glass costs 5 Euro, the glass will be provided to you. Medieval and fantasy markets, city festivals, festivals, cons, holiday campaigns, school workshops, Christmas markets, hobby and art exhibitions and many more, all over Germany. We offer a creative area, where we have been engraving glaziers for many years, which is always very popular. Our team at FedCon 28 will consist of two people. Kreativ Team head Rena Retzack and Ivonne Peter. Both have years of experience in dealing with humans and the engraving machine (Dremel) and are a well-rehearsed mother and daughter team.